Brian Frank was born at home in the Hollywood hills before the midwife could get there, with just his father and two sisters attending. He grew up in Southern California in a holistically minded household where "white death" (refined sugar, wheat, dairy) and "junk food" was forbidden. Vitamins were consumed by all at meal times to compliment the family's whole food based diet. Doctors, antibiotics, and routine vaccinations were unknown in his family. Brian had a very diverse educational career that started with a Summerhill "free school" where classes were offered but student participation was at their discression. Of course, he opted to go rattle snake hunting, ride bikes, motorcycles, build forts, play S.W.A.T, dig underground tunnels and play marathon games of hide-and-go-freeze-tag with his classmates. That was followed by three years of Calvert correspondence course school while living in Africa. Later, he attended a unique high school called The Center For International Commerce and majored in International Business at San Francisco State University before starting Hammer Nutrition. From an early age, Brian was always on the go -riding bikes and skateboards, racing BMX and motocross. In high school, he swam and played water polo for cross training. In 1985, Brian discovered endurance cycling as rehabilitation for his 2nd knee surgery. He was quickly frustrated by the lack of nutritional supplements on the market that addressed the unique needs of endurance athletes. One year later, Brian made the decision to launch a line of nutritional supplements designed to meet those needs. In 1987, with the support of his late father, Dr. Gerry S. Frank, Brian founded E-Caps, a supplement line designed specifically for endurance athletes. 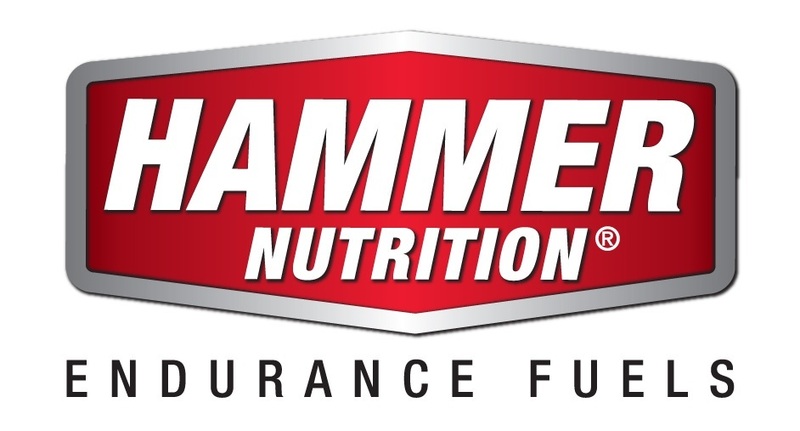 In 1995, Brian introduced Hammer Nutrition Endurance Fuels and the unique modular fueling system to his existing company. In 2007, the E-Caps brand was retired and all of its products were rolled into the Hammer Nutrition line. Brian moved his business and family to Whitefish, Montana in 1995, with one employee to help pack orders. He found a place ideal for enjoying his athletic pursuits, raising a family, and managing a growing business. Staying true to his active roots, Brian resumed racing motorcross in 1998 and won two Montana State Championship titles. These days his gets his competitive fix riding observed trials, racing shifter karts and Formula 3 cars, consistently finishing at or near the top of the podium. in 2015, Brian won F3 Winter Series and finished 2nd in the Summer Series. He rides road bikes as his fitness staple, lifts in the gym 3-4 days per week, but will not pass up the opportunity to ride or drive anything with one or more wheels! Steve has nearly three decades of involvement in the sports nutrition industry, as well as more than 20 years of independent research in nutritional fueling and supplementation. These experiences have given him unmatched familiarity with the myriad product choices available to athletes. Steve provides individual consultations to athletes of every level and in every discipline of endurance sports, helping them to achieve optimal performance in their training and racing whether they are beginners or professionals. "I derive just as much pleasure helping other people reach their goals as I do my own," says Steve. "It's the best part of the job." Steve is a three-time Race Across America finisher, the 1994 Furnace Creek 508 Champion and 1999 runner-up, the only cyclist in history to complete a Double Furnace Creek 508, and is the holder of two ultra marathon cycling records. In 2003, Steve was inducted into the Ultra Marathon Cycling Hall of Fame, the fifth person to receive this recognition. In addition to cycling, Steve is also an avid Nordic skier, with numerous marathon ski races under his belt and he does the occasional half-marathon or 30K trail run. Along with providing technical support to athletes by covering fueling, supplementation, and electrical muscle stimulation (EMS), Steve contributes articles for Endurance News as well as posts for Hammer Nutrition's Facebook pages. Steve also helps manage the several hundred events that Hammer Nutrition sponsors.